We are writing in heartfelt appreciation for Christian Science nursing and our Leader’s foresight to establish it in the Manual of The Mother Church. Mrs. Eddy’s vision inspires and leads to remarkable healing at Wide Horizon. Our Christian Science nurses are on the front lines supporting you and our Cause by providing loving care as they endeavor to practice spiritual healing. In this light we have been renewing our deep appreciation for their unique way of helping those in need. John Rinnert, CS, articulated well the role of the Christian Science nurse in a talk he gave at Wide Horizon in 2015. He stated that “Christian Science nursing utilizes and reflects the divine power of the Almighty and arrests the currents of mortal mind, causing thought to reconsider the very nature of health, healing, comfort, and hospitality.” In contrast, he said that the medical model “causes us to ruminate over the body. This rumination is the mesmerism which prevents us from moving forward and experiencing true healing.” Think how different our practice of Christian Science (and our lives) would be without Christian Science nursing to turn to in a time of need! In recognition of the vital importance of Christian Science nursing to our Movement, and specifically Wide Horizon, we are launching a campaign, “Wide Appeal for Sustainability.” This five-year campaign is in greater appreciation of Christian Science nurses and to maintain and perpetuate Christian Science nursing at Wide Horizon for future generations. Since you are part of the Christian Science community in the Rocky Mountain and Great Plains Region, the Board of Directors invites you to join us in this campaign that will ensure the continuity of our service to the field for years to come. We are therefore reaching out to make known Wide Horizon’s financial needs in order to maintain our high standard and level of Christian Science nursing and to meet the financial assistance given to patients who qualify for it. To fulfill this mission is essential to our collective work together. A successful campaign will enable Wide Horizon to maintain adequate salaries for Christian Science nurses, to hold rates for our guest services at more reasonable levels, and to build up our financial reserves. The funds from this campaign will be put into our investment account to generate income. At times, we have to withdraw from our investments in order to cover a gap between income and expenses. In response to this circumstance, Wide Horizon’s goal is to raise a total of $6 million ($1 million per year for the first three years and $1.5 million over the final two years). With $6 million in our investments, which are wisely and professionally managed, at a realistic 5% rate, the deficits would be offset by $300,000 per year, simply from interest and dividends. Our objective for this plan is to provide sustainability and continuity at Wide Horizon for the long term. We invite your prayers, appreciation, feedback, and financial support for this essential campaign. Underpinning our entire plan is the metaphysical basis for Christian Science nursing – the fact that Mary Baker Eddy gave us as a bylaw in the Church Manual for the “Christian Science Nurse” (Manual, p. 49). Our Leader therefore made Christian Science nursing literally a church activity – one that supports the Christian Science practice. We are appreciating Christian Science nursing as part of Church. We believe development efforts for Christian Science nursing supports the Cause of Christian Science and ultimately mankind. At Wide Horizon we recognize our responsibility as the primary provider of Christian Science nursing in Colorado and adjacent states. We cherish the guests who come here seeking spiritual healing and the Christian Science nurses that care for them. Wide Horizon has been providing Christian Science nursing care for more than 65 years, without indebtedness. A number of years ago, the Board’s focus was to “develop” or show greater support of the Christian Science nursing staff through greater appreciation and expression of Love. This was successfully fulfilled and continues to this day. Then within the past six years two extensive building projects were successfully completed and wholly paid for without a loan, using our own funds, as well as the generous support of our Christian Science community. As the next stage in our development plans, we recognize that a total goal of $6 million over the next five years will require more time in the field for the Board of Directors and Executive Director. For this purpose, we plan to visit individuals and branch churches to increase awareness of and appreciation for Christian Science nursing and Wide Horizon. This awareness includes the current need for financial support to keep Wide Horizon in a strong sustainable position. We are grateful for the generous support Wide Horizon has historically received and continues to receive from many people in our region, and with your help we will continue our service to the community for future generations. 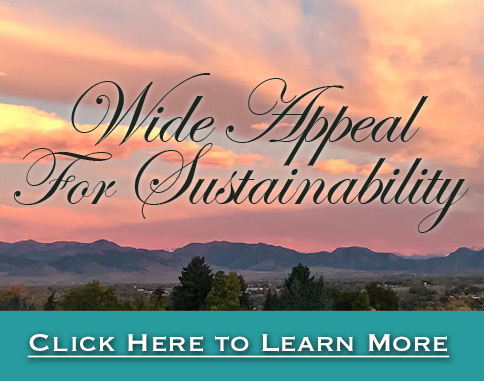 Now we hope you will join us in our “Wide Appeal for Sustainability” campaign by sincerely appreciating and financially supporting the selfless and sacred work of Christian Science nurses.